Highly desirable Victoria Arbors home with RV Parking and Swimming pool. 4 Bedrooms, 3 full bathrooms, RV Parking, 3-Car Garage. Convenient down stairs guest bedroom with adjacent bathroom. Huge family room with open concept to the kitchen and cozy gas only fireplace. Formal dining room and formal living room. Large kitchen with center island and tile counters, and plenty of cabinets for all your pots and pans. The stunning master bedroom suite has a sitting area, master bath has dual vanities, tub, separate shower and walk-in closet. The large yard is perfect for entertaining featuring a swimming pool, BBQ Island, and outdoor fireplace. This home is just minutes from The #VictoriaGardens Mal which is a pedestrian-oriented open-air Inland Empire’s nicest mall featuring an outdoor and main street setting with retail stores like Macy’s, H&M, GAP, Banana Republic, Forever 21, Buckle, Victoria Secret and much more. Great restaurants to dining like The Cheesecake Factory, #YardHouse, Fleming’s Prime Steakhouse, #Lucille’s Smoke House, Luna Modern Mexican Kitchen, P.F Chang’s, 50/50 Burgers by Design, #PunchBowl and much more. There is a food court that has a carousel inside, and small kids train that travels around the main part of the mall. Love plays and musicals? The Lewis Family Playhouse is located in the middle of The Victoria Gardens, this theatre offers plays with musicals that can appeal to all ages. TheRanchoCucamonga Quakes minor league baseball is close by along with the Ontario Reign at the Citizen Business Bank Arena. The #TerraVistaTownCenterFarmer’s Market with farm fresh produce from local growers is located within 10 minutes drive. The #OntarioMills largest outlet mall of the Inland Empire is another mall near by. 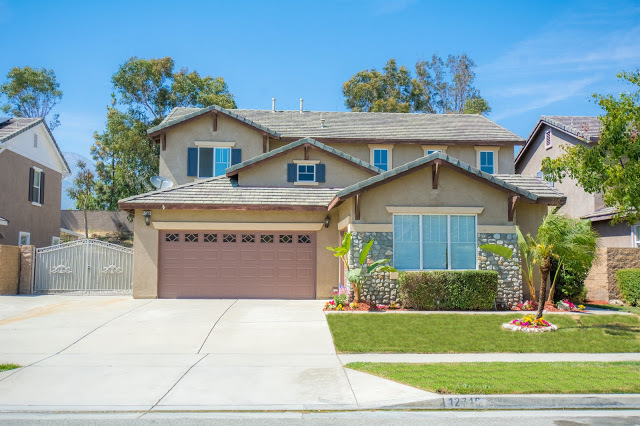 This home is so centrally located from everything that you are looking for, shopping, parks, schools, and freeways.